Keeping your PC in tip-top running order has never been quicker or more intuitive. Karlsruhe, Germany, April 11th, 2016. A new release of Nero TuneItUp sees improvements in speed and clarity; keeping PC’s running smoothly whilst informing users exactly what has been fixed. This latest version is available as a free update to existing users of the FREE and PRO version. With regular and ongoing customer research, Nero identified that users wanted an even faster and user friendlier one-stop solution to keep their PC and laptop running in optimum condition. This latest release enjoys a faster program launch, system scanning and problem fixing. Users can scan individual problem areas or automatically scan everything at once. Nero TuneItUp now tells users what was optimised in easy to understand language. A success dialog summary is shown to all users. For the more technically minded, a full and detailed report is available. The new version provides more automation and, more control! The fully customisable monitoring function gives users a warning that their PC’s performance is declining and provides one-click solutions to fix it. Should users want to know more first, they can click on the ‘show details’ button for more analysis of the problem and the proposed fixes. Securely delete files on external hard drives too. Nero creates software that helps consumers around the world to simply enjoy their videos, photos and music. 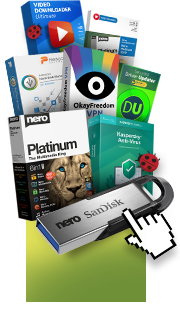 Nero produces widely used multimedia software, which contains powerful applications for media management, video playback, video editing, video converting, content sync and disc burning. Nero Streaming Player App allows you to play photos, videos, and music straight from your smartphone or tablet on your smart TV or other Wi-Fi® media players. You can also use it as a remote control unit and player for your PC. Nero TuneItUp is a powerful and friendly PC clean-up utility that makes computers run faster, and keeps drivers and software up-to-date. Nero has offices in Karlsruhe, Germany; Yokohama, Japan; and Hangzhou, China. Learn more at www.nero.com. Nero and its product names are trademarks or registered trademarks of Nero AG. Other product and brand names may be trademarks or registered trademarks of their respective owners and do not imply affiliation with, sponsorship or endorsement by owners. © 2016 Nero AG. All rights reserved.